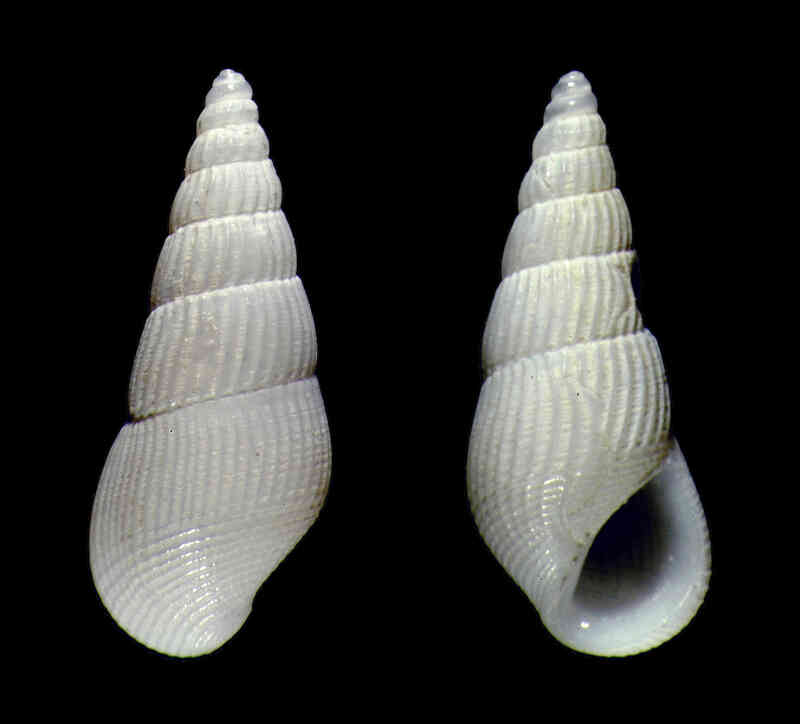 Shell size to 6 mm; shell elongate, with rounded whorls. Sculpture of 25 large ribs per whorl and finer spiral threads that do not cross ribs. 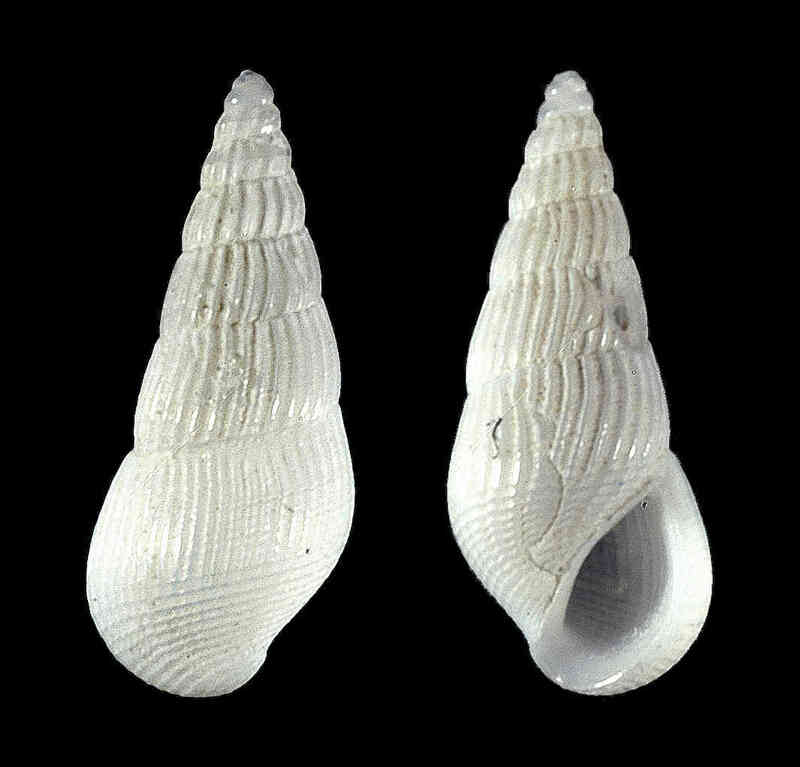 Double spiral cordlets present around middle of first teleoconch whorl. Aperture ovate. Outer lip thick. Color translucent white.